Where No MOM’s Has Gone Before! Hello from Bryn Mawr, Pennsylvania! 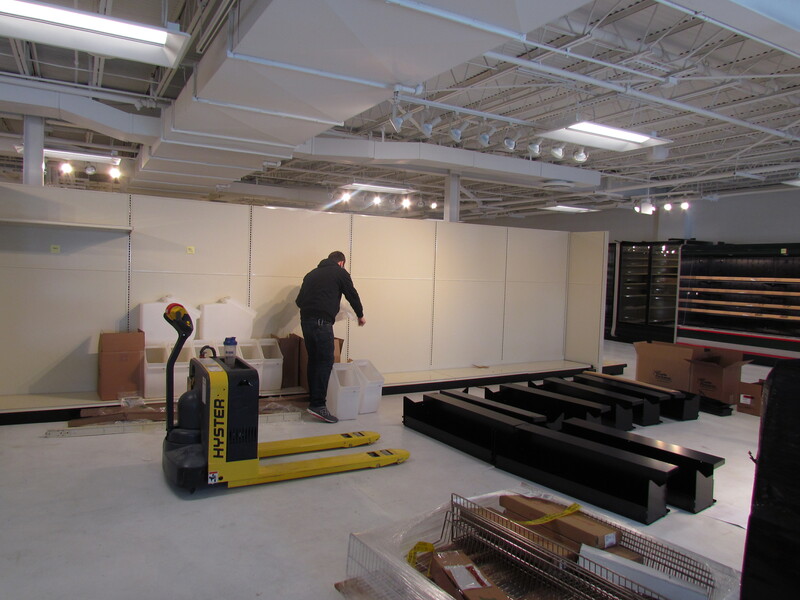 The teams are hard at work getting MOM’s newest location ready for inspections and deliveries. 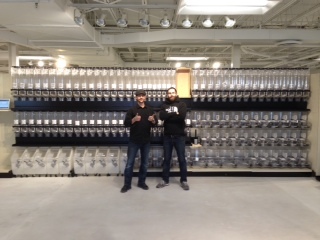 Staff have begun their training program and the store is full of hustle and bustle! One neat feature of the store is this sweet filtered water fountain that tracks how many disposable bottles are eliminated from the waste stream. Since recently being installed, we are already at 173. Ban the Bottle, folks! We made the commitment to stop selling bottled water in 2010 and have been “bottle-free” since. 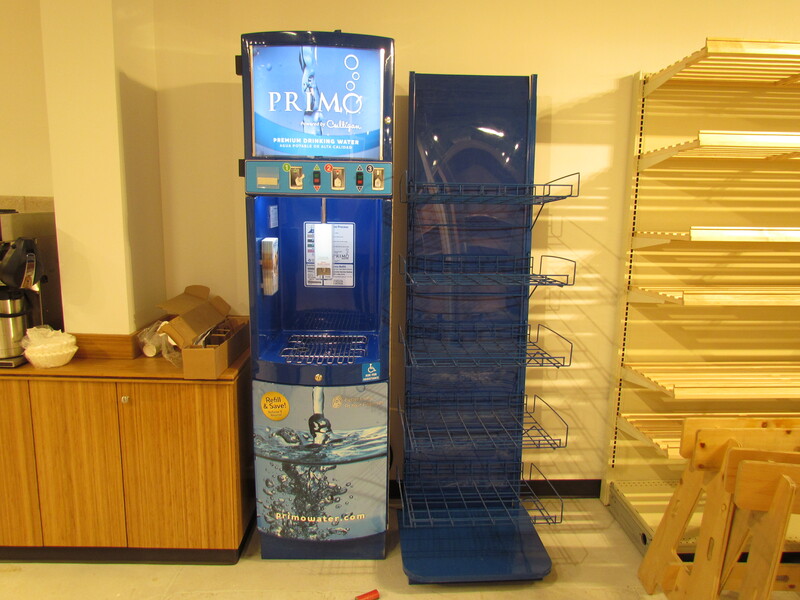 The Primo water machine is installed and running. This is filtered water available for 39 cents per gallon (the first gallon always being free!). We will have a great selection of water filters and reusable water bottles for sale, including our custom Klean Kanteen. Krista works at multiple MOM’s locations. I am a fiend for the outdoors. I love finding great food. My beagle is the world to me. Flowers make my heart melt. Art is beautiful. I am an environmentalist. Exercise soothes my soul. Sunshine is my medicine. Adventure is my passion. Wine in the winter, beer in the summer. Family is my rock. This entry was posted in Employment, Green Careers, Organic Food and tagged banned bottled water, bottled water, Bryn Mawr, filtered water, Klean Kanteen, MOM's Bryn Mawr, MOM's Organic Market, new store, primo water, store opening. Bookmark the permalink.